The Center for Creative Materials Research focuses on providing general structural analysis and physical properties measurements for research concerning Material Science and Engineering. 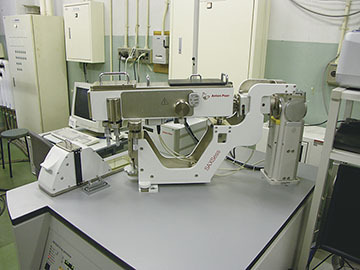 The Center is equipped with a Mass Spectrometer, an Electro Spin Resonance Spectrometer, a Fourier-Transformation Nuclear Resonance Spectrometer, a Small-angle Scattering Spectrometer, an X-ray Diffractometer, an Elemental Analyzer, a Thermal Analyzer, a Raman Spectrometer, a Dynamic Light Scattering Spectrometer, an Electron Microscope and a Scanning Probe Microscope. A licensing system has been introduced for each user to be able to use the equipment. To promote a smooth operation of join research endeavors between the academe and industrial community, the Center offers guidelines concerning usage, fees and charges among others, to enable and allow the use of analytical instruments at a relatively reasonable and low cost.